Blackberry 7130e Hits the UK | BlackBerry Blast! O2 and Research In Motion today announced the first launch of the new BlackBerry® 7130g™ in the UK. The BlackBerry 7130g provides the perfect balance of performance, design and function for users who prefer traditional phone-style designs. 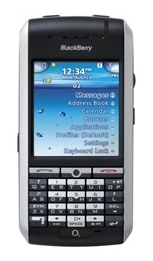 With a wide range of wireless business applications available for BlackBerry, the BlackBerry 7130g is the ultimate mobile handset for professionals that need to view documents and access corporate data while away from the office.